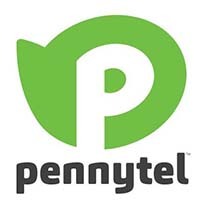 Save on your order from Pennytel with a Pennytel coupon code. Pennytel is a recently re-launched telecommunication provider that sells mobile plans on the Telstra network. All our mobile plans provide a 4G coverage footprint of 96.5% and a combined 4G and 3G coverage footprint of more than 98.8% of the Australian population covering 1.62 million square kilometres. At Pennytel, we believe in value. This means that we try to be a provider that delivers real, all-around value through flexible plans, quality products, human customer service and of course, affordable prices. We cater to the older demographic, understanding their needs. Other telcos focus on latest phones and the biggest data packages, we focus on delivering quality customer service, with extended operational hours and friendly staff. Speak to a human every step of the way.